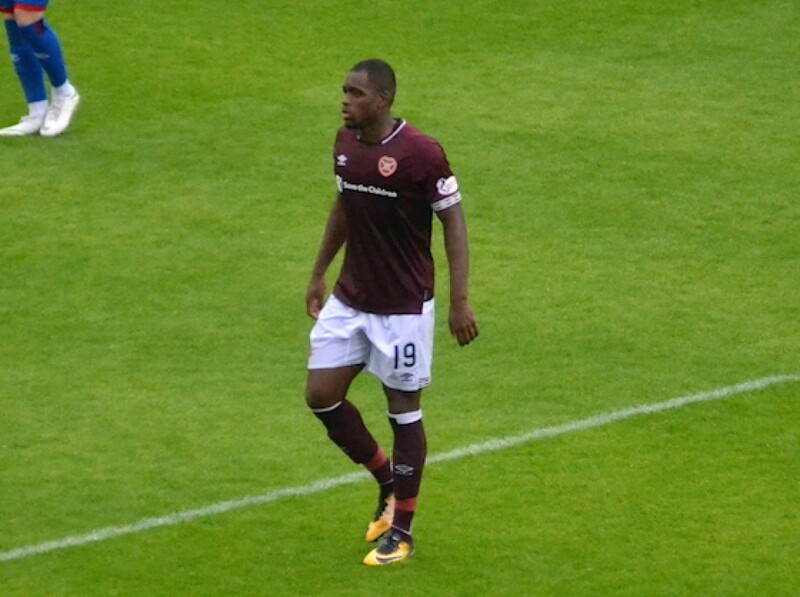 HEARTS star Uche Ikpeazu is adamant the Jambos would be challenging for the title if not for the injury crisis that derailed their Premiership push. The capital club roared to the summit of the table earlier this term, winning six of their opening seven matches of the season to open up a five-point advantage over the chasing pack. However, they endured a remarkable series of set-backs to key players, with Christophe Berra, John Souttar and Steven Naismith all ruled out for several months. The absence of the latter was particularly sorely felt. Ikpeazu joined that pivotal trio on the treatment table after suffering a freak foot injury against Motherwell on September 15 which ultimately required surgery and left him sidelined for four months. He made his long-awaited comeback in Wednesday’s 0-0 draw with Livingston and, while not giving up the ghost entirely, he could not help but wonder what might have been. Ikpeazu said: “We would definitely have challenged without the injuries. The way we were playing, I think we would have been right up there. “It was a crazy time! Everyone was getting injured but that’s how things happen in football. Ikpeazu is simply content to be back on the pitch, having initially feared his season was over when he finally got the prognosis from specialists in London. It was a hammer blow for the summer signing from Cambridge United after a blistering start to his career in Gorgie, scoring four times and becoming a firm fans’ favourite due to his physicality, pace and work ethic. He continued: “I did think my season was over. They have to give you the worst-case scenario and the specialist said that my season was more or less finished. “But for me, nothing is over. Ikpeazu is likely to start Sunday’s Scottish Cup tie against Auchinleck Talbot after emerging unscathed from his 25-minute cameo against Livi, which came after just two full-contact training sessions with his teammates. Ikpeazu should be drug tested. All referees for SPFL and all Cup matches in Scotland should be officiated by neutral referees.